Every gardener has a plant that just does not seem to grow. The plant just sits there in its pot, day after day, looking the same each day, taking up space, maybe taking up valuable space in a sunny window. These plants don’t die, but they don’t grow either. Day after day, they are just there with no discernable change. I’ve got some amaryllis plants that are doing that right now, or rather I should say they are doing nothing right now. They are basically the same as when I bought the bulbs, except the shoots are a little greener than when I took them out of their dark boxes. I’ve been analyzing the situation to determine what could be wrong. Here are some of my theories. - I’m not watering them enough or maybe I'm watering too much. I actually don’t think this is the problem. - They aren’t getting enough light. That can’t be it, as we’ve all seen amaryllis trying to bloom while still in their dark boxes in the stores and these are by an east window. - I bought cheap bulbs and they were a little on the small side. Maybe this is as fast as I should expect for $3.99 a bulb. - I’m simply not patient enough. Maybe these bulbs just need a bit more time to get established in their pots and then they’ll take off. I think the most probable cause of the slow growth is a combination of the last two theories. I did buy smaller bulbs and now I just need to wait them out. They will bloom in time. I’ve never had an amaryllis bulb that didn't bloom! 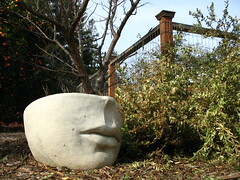 But just in case, I am going to try a new method of getting these to grow. 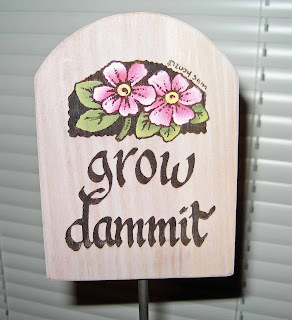 A co-worker gave me this sign for my garden today. I shall place it in one of the amaryllis pots and that should do the trick. 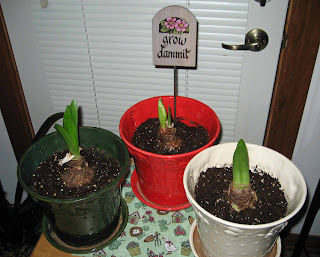 Yes, I’m going to bully these amaryllis plants into growing and blooming. It may be too late for Christmas but these are the perfect colors for Valentine’s Day. I really don't like to resort to these kinds of methods, really. I've learned my lesson. Don't cheap out and don't procrastinate. 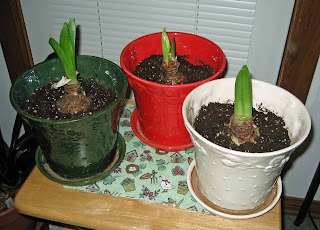 So next year, I'll buy bigger, better Amaryllis bulbs and I'll pot them up earlier. I am sure the sign will scare a bloom right out of them. I wouldn't think the size of the bulb would affect anything except the size of the bloom. Maybe there is an amaryllis expert out there someplace that can tell you the secret of making them grow faster. Grow little amaryllis. You don't know how close to the compost bin you are sitting. That post really did make me laugh out loud! I hope it works for you. 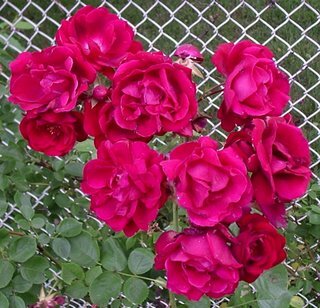 I think blooms at Valentine's day would be perfect. That's about the time I am really starting to need fresh flowers again. Carol, I wanted to thank you again for posting about the Felco pruners earlier this fall. I bought a pair and I like them so much that I just bought another pair for my mother-in-law for Christmas. I can't begin to tell you how wonderful it is to use a pair that don't lock up all the time. I'd like to plug those little signs all over the place here :o) Very cute and clever! Grow, dammit! LOL! Well, I've never been that enthused about amaryllis, because mine never bloom the second year before March--unless I use bottom heat. Yeah, bottom heat. That's what I was going to suggest. Mine usually don't bloom until early March, because I don't give them a dormant period and their timing is all screwed up. The new one I bought this year is taking forever too, just like yours! But the onese I grow from year to year bloom whenever year round. This year I got at least 3 rounds of blooms (thats 6 stalks of flowers per bulb so that's 18 stalks altogether this year!) from each of mine. I've never gotten mine to flower, not even the first year. It doesn't get cold enough in Austin for them to ever go dormant. They keep growing and multiplying. Although they are supposed to like being crowded in a pot I eventually had to divide them. Several years now and still no flowers. Carol, I'm testing Open ID. Hi. 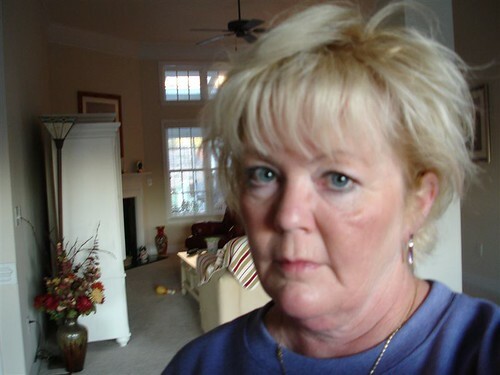 Trying one more time, Carol. Can you buy them in bulk, Carol? Coal in your stocking for being mean! 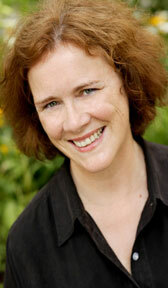 Is it true...Blogger has reinstated link backs to us non-Blogger users? Yay! And after all the work many of us just went through to set up dummy Blogger blogs or Open IDs. Lisa at Greenbow... Funny comment. I promise I won't compost them, at least not yet. Zoey... It's good to hear the Felco's are working for you. They are expensive, but well worth it. Mary... Wouldn't our gardens look funny with signs like these next to all the slow growers. Cold Climate Gardening (Kathy)... No bottom heat for these amaryllis. I don't like to do anything special to get them to grow! EAL... I think I'm just going to wait them out. Maybe there timing is all messed up from being sold in a big box retail store! Nickie... That's a lot of amaryllis bloom! M Sinclair Stevens (Texas)... We could never let these be out all winter here. They are definitely house plants. Stuart... Very funny, buying them in bulk... very funny. Sister with the Homestead... Hey, I didn't use the language, it's just whats on the sign! No coal for me! MSS... Yes, it's true. I checked it out and they decided to put it back. They listened to all the complaints, I guess! What a nice Christmas present. They need diurnal temperature fluctuation. Cold nights, warm days. That's the received wisdom in my circles. I put them out in fall and spring and they go nuts. Hee hee! Brings back memories from my childhood. My mother had a Bird of Paradise plant that wouldn't bloom. She bought a plastic Bird of Paradise flower and stuck it in the pot to "show" the plant what it was supposed to do. Chuck B... In my sun room the temperature does vary about 5 degrees between day and night, maybe that's not enough or they are too close to the window. Usually I set them on a table in the middle of the sun room and they do just fun. OldRose... Did it work? Because if it did, I might just try it! Starting off with small bulbs will cause some setback.Your plants should be kept at a temp between 70 to 75.Once the bulb sprouts you should keep the soil moist but not soggy.Im am sure you will get them going in no time. This is my third winter of having amaryllis inside after letting them grow in the garden all summer for the second time. Last winter, they just went to town and bloomed like crazy all winter long. (I've got lots of them.) This winter, so far, they seem to be slow to come back to life after I dug them up out of the garden. I didn't do anything any differently, so I just wonder if the drought we experienced affected mine. I've only go one showing signs of life and that's 'La Paz' with two flower buds shooting up, very slowly. I bought a new bulb this winter ('Lemon Lime') and that's in bloom right now, but it took its sweet time about it, too! I order the Amaryllis for the nursery where I work and have noticed that some varieties bloom at different times. We put some outside under cover and some are inside and the indoor ones always bloom first. From what I understand the reason they don't bloom as well, if at all the following year is that they have to make more roots so all the energy is put in to that. When you buy a loose bulb at the store the roots are usually all dried up, but the bulb will flower anyway that year because it has stored energy from the year before. So I suppose if you wait for a 3rd year you might get a bloom...also don't fertilize with too much nitrogen. The biggest problem I see are when they get over watered and the bulb rots. Enjoy your blooms whenever they may decide to make their appearance! I forced mine in gravel, not soil, so it may be very different, but I do remember being surprised by how late you got yours in the pot compared to when I put mine in gravel and water. Mine was in bloom for Christmas day, but I started a good month before you did. However, I'm just an amateur compared to you EXPERT GARDENER, so I think maybe you just got slow bulbs. Don't feel bad, I've had the same amaryllis for FIVE years, and never a single bloom aside from the first year! :( But MrBrownthumb is an expert with these, so I'm gonna follow some of his advice, give mine one more year, then it's compost! Hello all, I found this flower today at the back of my house ( a forest lol ) I was scared at first to even try to pick it because it's at the back of my wall which is like a wild mountain with a lot of trees and snakes but I couldnt help myself and took it. I got 5 of them big ones too!